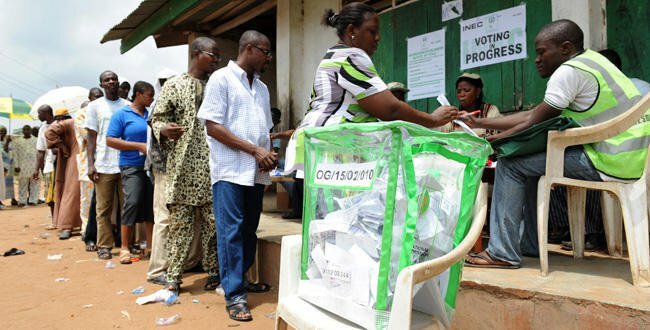 The Kano State Independent Electoral Commission (KANSIEC) has declared the All Progressive Congress (APC) candidates as winners of the Saturday’s Local Government polls in all the 44 councils in the state. KANSIEC Chairman, Prof. Garba Sheka, announced the election results while briefing newsmen in Kano on Sunday. Sheka said APC also won all the 484 councillorship positions with a wide gap in an election participated by 25 political parties. He added that the election which was conducted in a peaceful manner, had recorded success due to the large turnout of the electorate and the deployment of security personnel. “The security agencies include Police, Customs, Immigration, NDLEA, Vigilanty groups, NSCDC and other secret security personnel. “I am proud that the election which was participated by 25 political parties was conducted peacefully without any violence, disruption by any person and no report of arrest,’’ he said. The KANSIEC Chairman attributed the late commencement of the election to the late arrival of some of the voting materials which were brought from China. “The commission had earlier received three consignments of the materials, but last arrived Kano at about 12:45 a.m on the election day despite all efforts to ensure it arrived earlier. “Immediately after we received the materials, we started the distribution about 4 a.m. By 11am we have completed the distribution of all the voting materials. “Therefore, we acknowledge our mistakes, apologise for the inconveniences caused and we are going to make necessary corrections to avoid reoccurrence of such delay in the next elections,” he said.